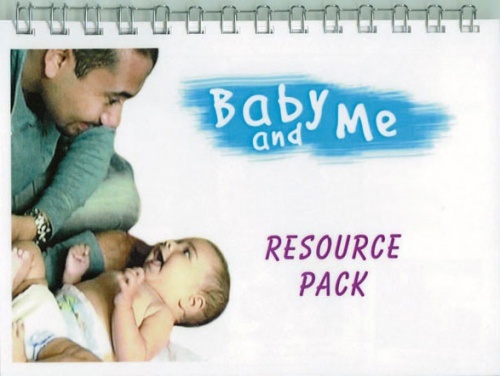 Using images from the Baby And Me DVD, the book is spiral bound. 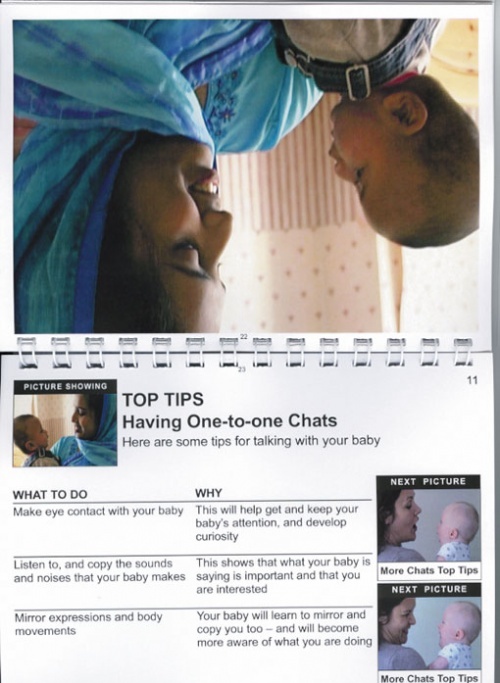 One page has a full page picture that can be seen as it faces the client, and a page with hints and tips to prompt conversation. Also included are a set of leaflets which are supplied on a cd in pdf form so more can be printed to give to clients.